Bypassing iCloud lock on iPhone 8 is a complex process that requires professional tools and help. There may come a time when you would need to unlink your iPhone 8 from iCloud and bypass Activation iCloud Lock. So knowing how to proceed when its needed will help you save considerable time. When you need to unlock your iPhone from iCloud, but you can’t figure out your passwords for bypassing the iCloud account, you can use a special software program like iMyFone LockWiper. iMyFone LockWiper is one of the easiest methods for bypassing any kind of lock or code on your phone. You can remove any Apple ID or iCloud passcodes with just a few clicks of a button. You can bypass any 4 or 6 digit passcode on your iPhone, as well as any Face or Touch ID. Work on any iPhone that has a broken screen, or that has been disabled or locked. Step 1. Download and launch LockWiper. Click on “Unlock Apple ID”. Step 2. Click “Start to Unlock” to start the unlocking process. Step 3. 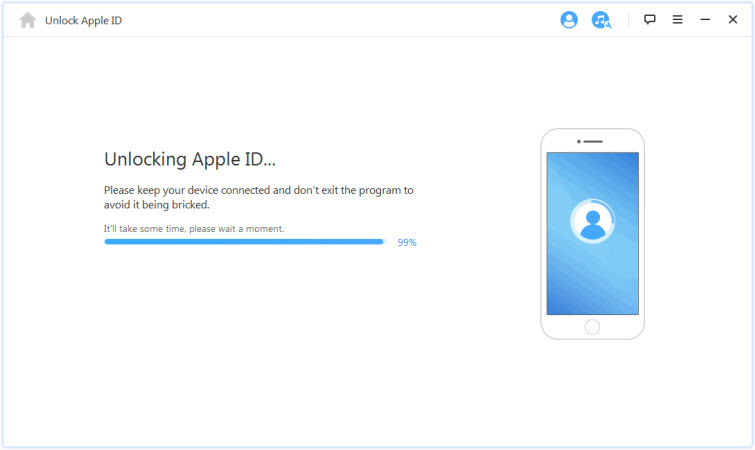 The program will start unlocking your Apple ID immediately. Step 4. 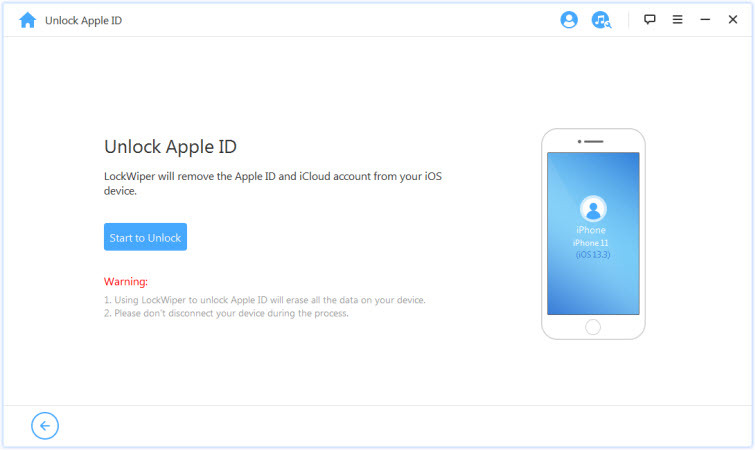 After the process finished, your Apple ID will be removed. 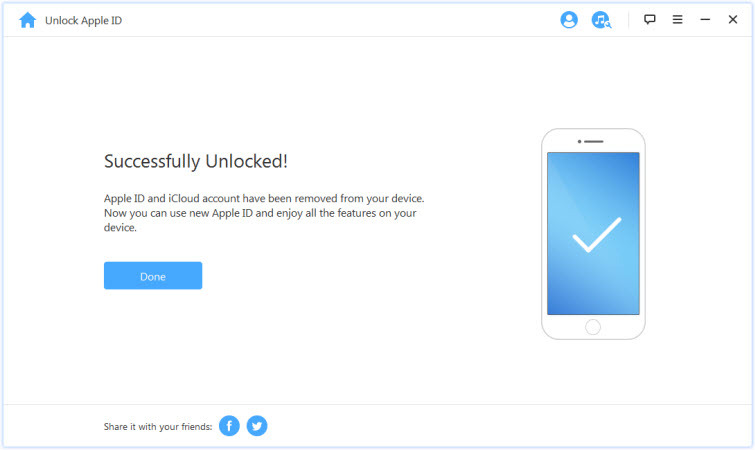 Note: Please make sure that your device is activated before you try to remove iCloud account. This is one of the easiest methods of bypassing iCloud lock as you can do this by yourself on your phone. Step 1: Reset your iPhone 8 (8 Plus) from Settings app first. Once the reset process is completed, you will see iCloud activation lock on your iPhone’s screen. Step 2: Now start over by pressing the Home button. Then select your country and language. Step 3: Select a working Wi-Fi network. You will again see the Activate iPhone window, tap Home Button when you see it. Step 4: Navigate to Wi-Fi settings and select the ‘i’ icon. This icon will be representing your connected Wi-Fi network. Step 5: Select DNS Server option and choose Select All and then Delete the IP shown in the field. Step 6: Now paste the IP that is of an iCloud Activation Server. You can find such IP addresses by searching on the internet. Step 7: You can tap on Activation Hello now. Select Menu and you are done. 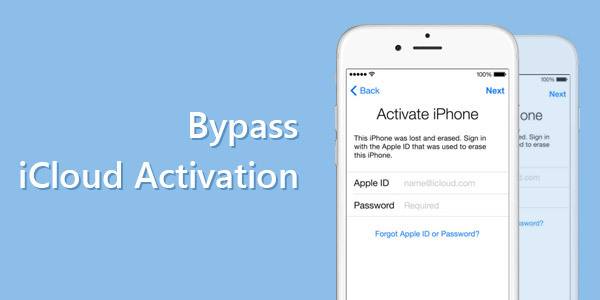 The bypass iCloud activation process is completed. Now you can fully access internet, maps, email, videos, music, etc. on your iPhone 8 (8 Plus). This is another website that offers similar services as the one mentioned above. The process of bypassing iCloud removal with the help of this website is also similar. Step 1: Visit the website on your web browser. Step 2: Provide the IMEI code of your iPhone 8 and then place the iCloud Unlock order. Step 3: Now all you need to do is wait. You will receive confirmation email within the next 48 hours, telling you that the bypass process has been completed. Step 4: Now use restore/update option on iTunes after connecting your iPhone to your PC. Step 5: Create a new Apple ID and use it on your iPhone. Note: We didn't test if this online service is really useful. And it doesn't provide a refund, so if you want to have a try, please consider it clearly.